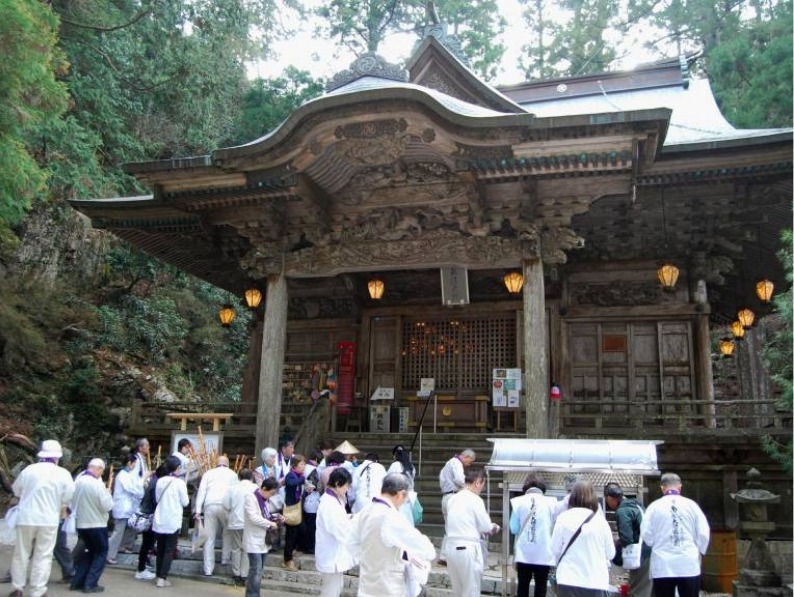 Why Japan's Mountain Temple Pilgrimage? Everyone should make a pilgrimage at least once in their lifetime and Japan’s 88 Temple Pilgrimage must surely be the most beautiful, romantic and captivating of them all. This pilgrimage is an eleven-hundred-year-old, 800 mile-long route that encircles the Japanese island of Shikoku, and links the sacred sites associated with the ninth century, Shikoku-born Buddhist monk, Kukai , who after death became known ""Dharma master"". Now you can follow in his, and thousands of other white-clad, conical hat sporting pilgrims (known locally as Henro) under Japan’s iconic and beautiful pink cherry blossom. What's So Amazing About This Pilgrimage? You’ll begin and end your nine-day trip in Tokushima, before seeing temples and pagodas in Hiwasa Bay and trekking to the stunning Iya Valley, a remote area that some people have called ""Japan's Tibet."" 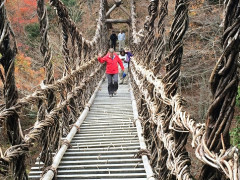 Then it’s on to Matsuyama and Oboke Gorge where you’ll cross vine bridges across forest canyons, traverse Shikoku’s mountainous landscape at the Minokoshi Pass and bathe your weary feet while taking in magnificent views in Rotenburo (outdoor hot spring baths) but don’t worry - you won’t be walking all 800 miles! This wondrous pilgrimage is a Japanese ""Camino de Santiago"" and the stunning island of Shikoku provides the finest of backdrops; the epitome of ""Off-the-beaten-path, old Japan"" this hiking holiday will leave you gasping, for more, pure Japanese air and another pilgrimage of a lifetime. 800-mile tour - you won't walk all of it!